Welcome to Rainwater! 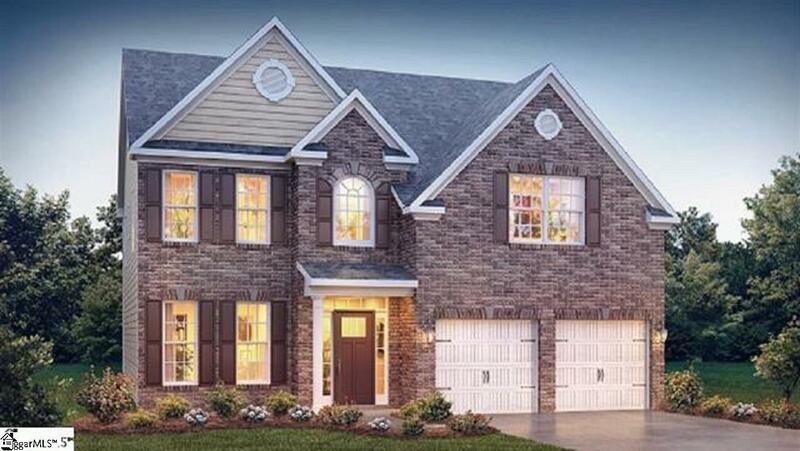 This new home community is located in the Award Winning School District 5 and is located in the Fastest Growing Area of the Upstate, just minutes from I-85, I-26, and Tyger River Park. 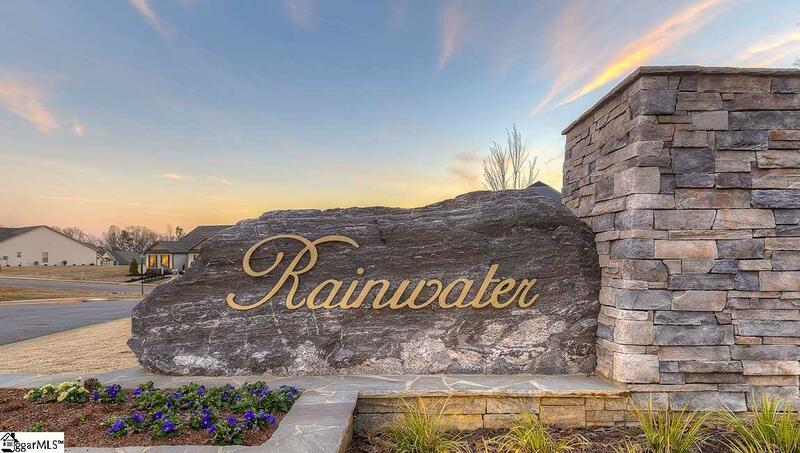 Rainwater offers convenience to Greenville and Spartanburg with easy access to Greenville Spartanburg International Airport, Woodruff Road Area, plus the Downtown areas of Greenville, Greer and Spartanburg which feature Premier Dining, Shopping and Entertainment! Welcome to the Fleetwood. This is an absolutely awesome floor plan. 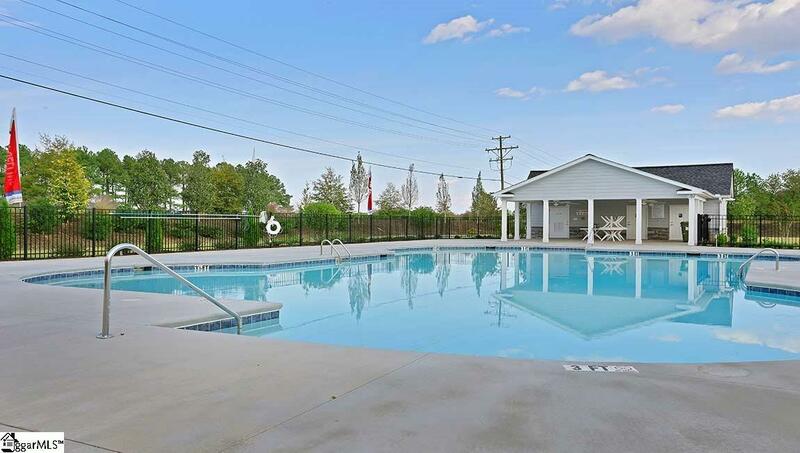 This craftsman style 4 bedroom and 3 full bath home offers so much. Where to begin? As you enter the home, you will be hit with a very impressive 2-story foyer that shows off the oak and iron stair rails and leads you either the spacious family room with gas log fireplace or to the formal dining room. There is both formal and casual dining in this home. The open kitchen features loads of cabinet and counter space including an island-bar. Stainless steel gas 5-burner range, built-in microwave, and dishwasher are included. The kitchen backsplash is striking with the listello finishes. All kitchen cabinet/counter doors and drawers are soft-close! Hardwood floors run throughout the main living areas of the home. Upstairs features the owner's suite with full bath, double sinks, separate shower and garden tub, ceramic tile floor, and walk-in closet. There are two more bedrooms upstairs along with a sizeable bonus room. The 4th bedroom is located downstairs. The Fleetwood also has double carriage style garage doors for a prestigious look. This lot backs up to a common area where 2000 trees have been planted. Perfect spot! Don't miss out on this amazing home! Prices and options are subject to change without notice. Visit Rainwater today!